Contrary to what you may have heard, there are movies other than “Star Wars: The Force Awakens” coming out for the holidays, and some pretty good ones at that. Stars Leonardo DiCaprio (“The Revenant”), Jennifer Lawrence (“Joy”), Will Smith (“Concussion”), Mark Wahlberg and Will Ferrell (“Daddy’s Home”) and directors Quentin Tarantino (“Hateful Eight”) and David O. Russell all have new movies opening between Wednesday and Christmas Day. That gives moviegoers not feeling The Force — we know you’re out there — some options. And with all those openers, plus last week’s “Sisters” and “Alvin and the Chipmunks: Road Chip,” in the marketplace along with “The Force Awakens,” there is a good chance this will be the biggest Christmas box office ever. For all the Oscar hopefuls and heavyweight star power, “Daddy’s Home,” an PG-13-rated comedy teaming Ferrell and Wahlberg with Linda Cardellini that opens on Friday, looks to be the strongest commercially of the movies not set in a galaxy far, far away. That said, “Stars Wars: The Force Awakens” should top it by at least $150 million this weekend. Sean Anders (“Horrible Bosses 2”) directs the tale of a straight-laced step-dad (Ferrell) vying for the love of his new family with bad seed biological pop (Wahlberg). The critics aren’t impressed, but Its other vital signs are trending up to make a three-day total in the $20 million range look possible. The $50 million Red Granite Production is being distributed in 3,271 theaters by Paramount. The studio on Wednesday expanded its R-rated Oscar hopeful “The Big Short” into roughly 1,600 theaters after strong limited run. 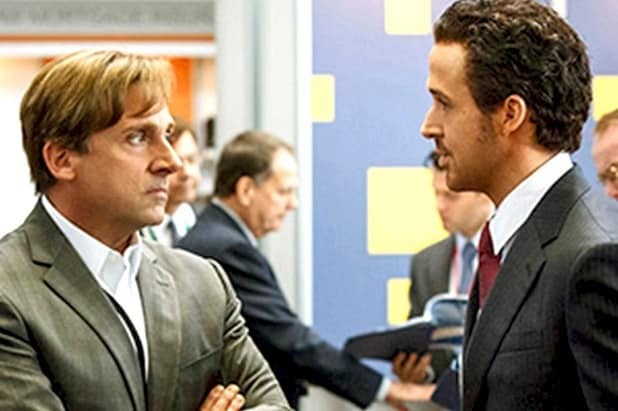 The examination of the U.S. financial crisis of a few years back from Regency Enterprises and Plan B stars Brad Pitt, Steve Carell, Christian Bale and Ryan Gosling. The first-rate performances aren’t a surprise but the film’s dead-on black humor might be to some moviegoers. That’s a specialty of director Adam McKay, who guided Ferrell and Wahlberg in “The Other Guys.” The critics dig it and it is a Golden Globes Best Comedy nominee and earned a SAG Awards ensemble nom, too. A five-day haul in the $10 million range is the projection of the studio and analysts for the $28 million film. Sony’s “Concussion,” writer-director Peter Landesman‘s drama about the National Football League’s epidemic of head injuries, will kick off in 2,841 theaters on Friday. 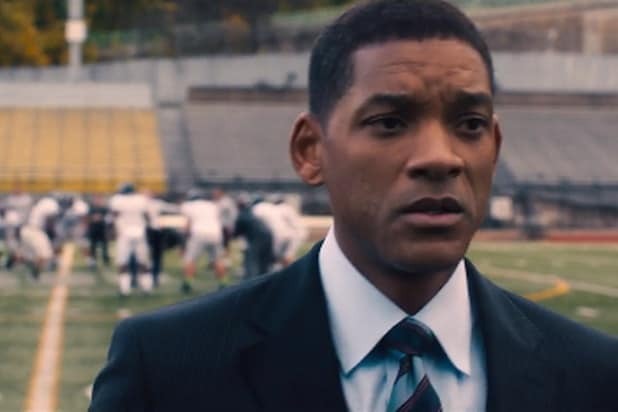 Smith plays Dr. Bennet Omalu, who fought to bring the problem into the consciousness of the league and the public. It’s hitting the market as the real-life NFL is bringing its season to a climax. Whether that will work for the drama, which is at a so-so 61 percent positive on Rotten Tomatoes, or against it remains to be seen. A total in the low-teen millions looks likely. 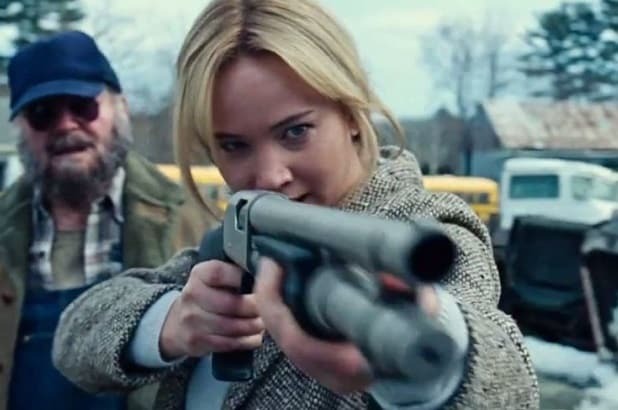 “Joy,” is the lastest take on a dysfunctional American family from director Russell, a master of that oeuvre. Robert De Niro and Bradley Cooper, who with Lawrence teamed on “Silver Linings Playbook” and “American Hustle,” co-star in the generational tale of a woman (Lawrence) who builds a business dynasty after inventing the Miracle Mop. Diane Ladd and Virginia Madsen co-star in the R-rated drama which targets adult women and Fox will have in roughly 2,700 theaters. Critics aren’t as keen on this film as some of Russell’s previous efforts and have it at 60 percent positive on Rotten Tomatoes. 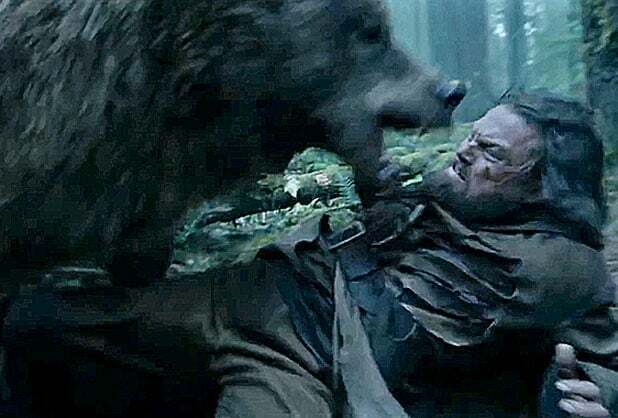 Fox is also rolling out “The Revenant,” the saga of 1800s frontiersman Hugh Glass (DiCaprio) directed by Alejandro G. Iñárritu (“Birdman”), in four theaters on Christmas Day. 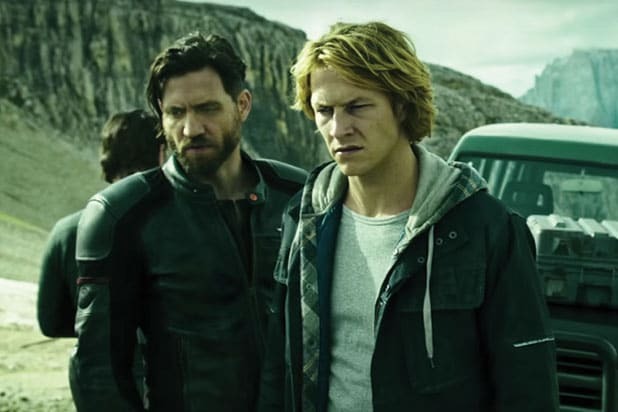 Tom Hardy, Domhnall Gleeson, Will Poulter and Paul Anderson co-star in the gritty R-rated adventure tale. “Point Break,” a remake of the 1991 thriller starring Patrick Swayze and Keanu Reeves, is also diving into theaters with Luke Bracey playing FBI agent Johnny Utah who goes undercover to crack the criminal group led by Bodhi (Edgar Ramirez). Ericson Core directed the $105 million film from Alcon Entertainment and DMG Entertainment. 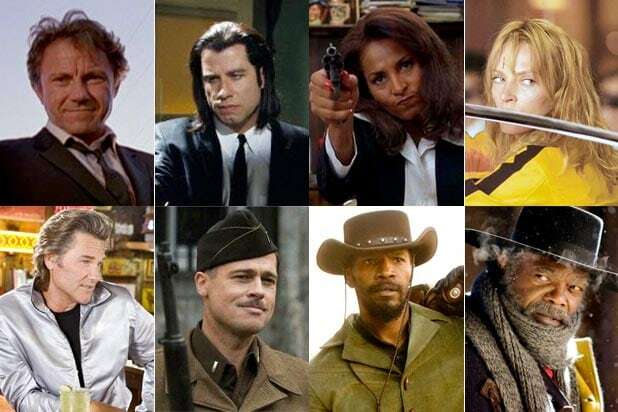 The Weinstein Company on Christmas Day will begin an exclusive run of 70mm screenings in roughly 44 major markets of “The Hateful Eight,” director Tarantino’s Western mystery with an ensemble that includes Samuel L. Jackson, Kurt Russell, Jennifer Jason Leigh and Channing Tatum. 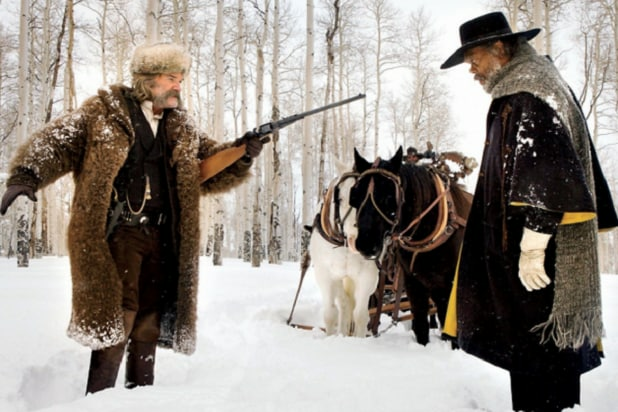 The film, set after the Civil War in Wyoming, revolves around eight strangers who seek refuge in a stagecoach stopover on a mountain pass during a blizzard. A number of the nation’s police unions are boycotting the film, in the wake of comments by Tarantino they intpreted to be anti-police. This limited run should draw aficionados of Tarantino, so the impact of any boycott won’t really be felt until it goes wide on New Year’s Eve.